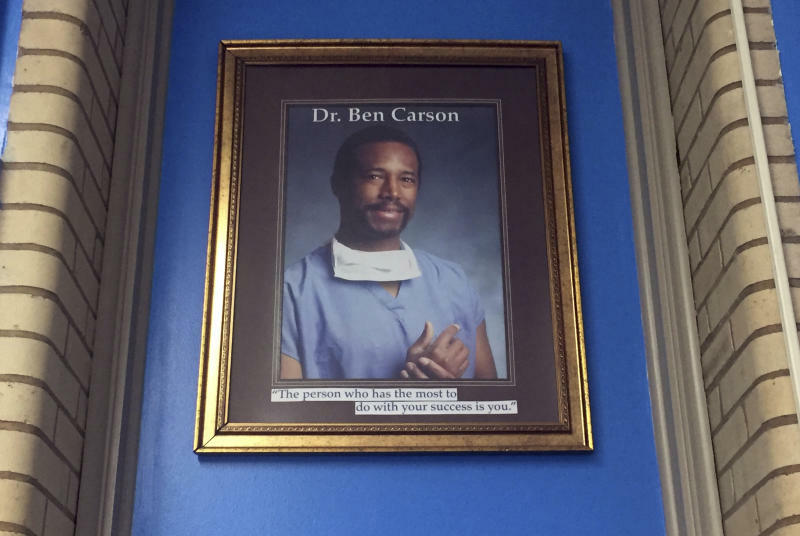 BALTIMORE (AP) — The portrait used to hang in the hallway, welcoming children and parents to the Archbishop Borders School in Baltimore: a smiling Dr. Ben Carson in surgical scrubs, rubbing together the careful, steady hands that helped him become the nation's most famous black doctor. 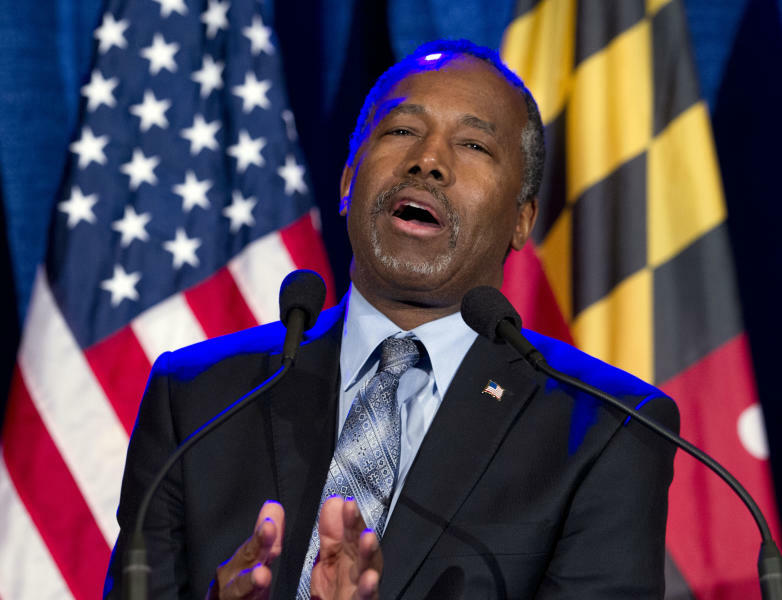 Carson's story of climbing out of poverty to become a world-renowned surgeon was once ubiquitous in Baltimore, where Carson made his name. In some schools his memoir was required reading, an illustration of the power of perseverance. 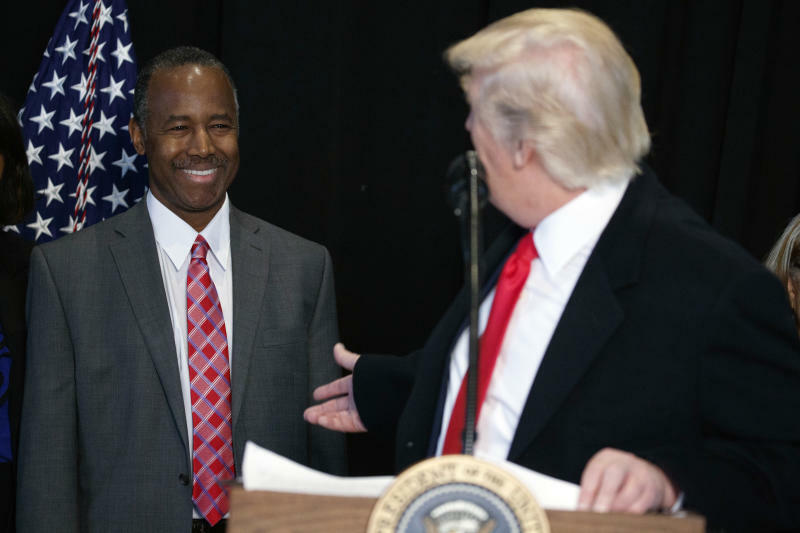 For a working-class, majority African-American city wracked by racial division and neglect — where a baby born in a wealthy white neighborhood is expected to live two decades longer than one in a poor black area — Ben Carson was hope.